Search for products by keyword, title, type, room or sku. 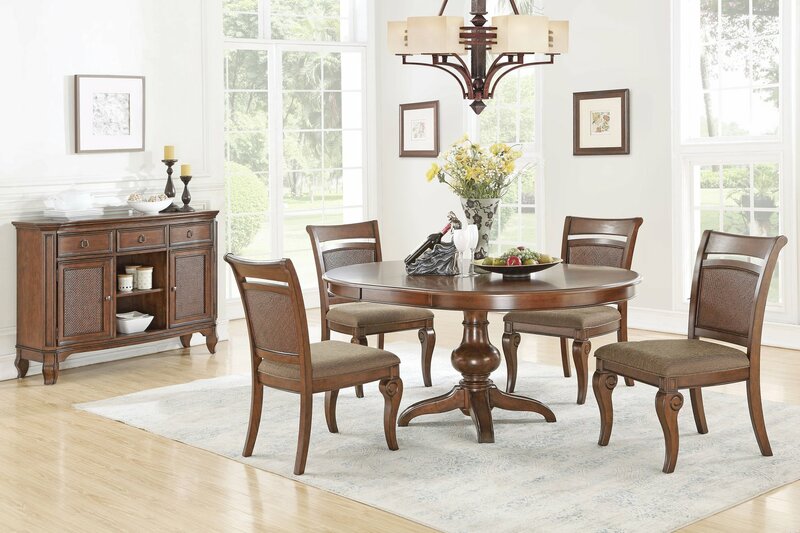 The sophistication of traditional forms coupled with the casual element of texture twill give this dining set, Bayshore, a look that will complement most of today’s interiors. 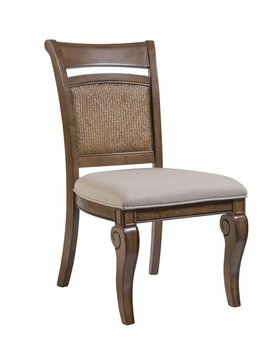 The upholstered seat side chairs with their scroll front legs and shaped twill padded backs add style and grace surrounding the bulb pedestal base round table. 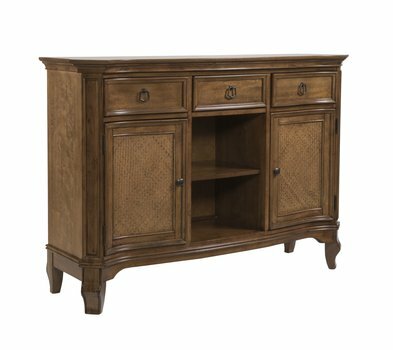 Introduce the credenza to complete the casual sophistication to any dining area. 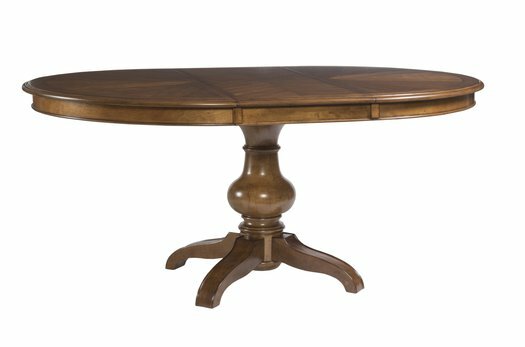 The warm brown finish highlights the birch wood pattern of the table top. © 2019 Palmetto Home Furniture.